Winfrasoft, today announces its new global Reseller Programme, which now offers deal registration and discounts of up to 40% on its authentication solutions including the award-winning PINgrid. By adding pattern-based 1.5 and 2 Factor Authentication to a reseller’s portfolio they are able to capitalise on the current demand to find an alternative to password-based verification and the need for authentication from anywhere and on any device. 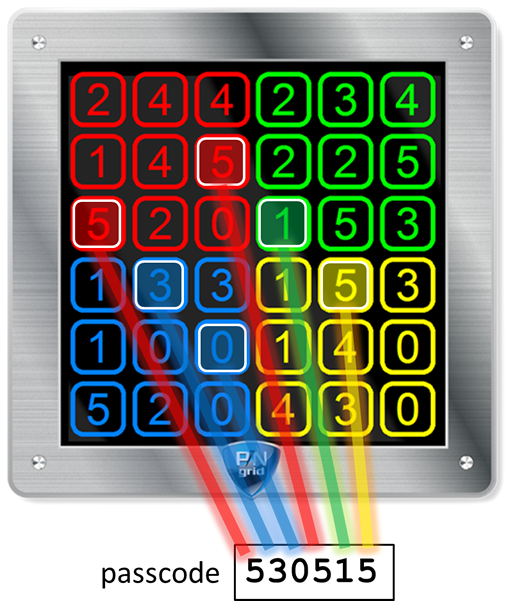 PINgrid uses number grid-based patterns rather than passwords or clunky keyring tokens, to provide 1.5, two and even three factor authentication and transaction verification for applications such as: Internet banking, e-commerce sites, corporate network access, mobile apps and door access systems. The solution utilisies 256bit FIPS compliant cryptograpgic algorthims and is underpinned by OATH logic. It can be implemented standalone, or easily integrated within exisiting apps and websites using the PINgrid SDK. When the customer needs to authenticate themselves they look at a challenge grid presented to them on screen that is populated with seemingly random numbers from 0 to 5. They simply type the digits that fall within their memorable pattern to create a One Time Code. Platinum and Gold members of the Winfrasoft Reseller Programme benefit from a dedicated Account Manager, deal registration, free telemarketing and marketing activities, sales incentives and promotions, qualified sales opportunities and pre-sales support, training, live product demonstrations for prospects and technical support. Companies interested in joining the Winfrasoft Reseller Programme please email: reseller@winfrasoft.com.